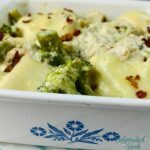 Healthy Chicken Broccoli Casserole with Bacon is a healthy, delicious dish your family will absolutely love. 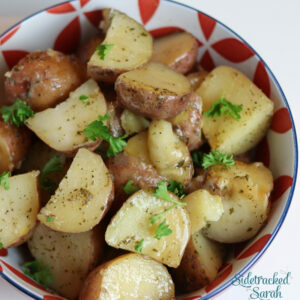 As a bonus, this recipe is also low carb and Keto! We love easy chicken recipes. Some of our favorites include Instant Pot Chicken & Dumplings and Grandma’s Crockpot Chicken and Noodles! When I was younger, one of our family’s favorite recipes was a broccoli bake. It was tender, creamy, and just plain yummy. I’ve decided to make an updated, healthier version that has all the delicious things I remember. In addition, it’s also low carb and Keto! 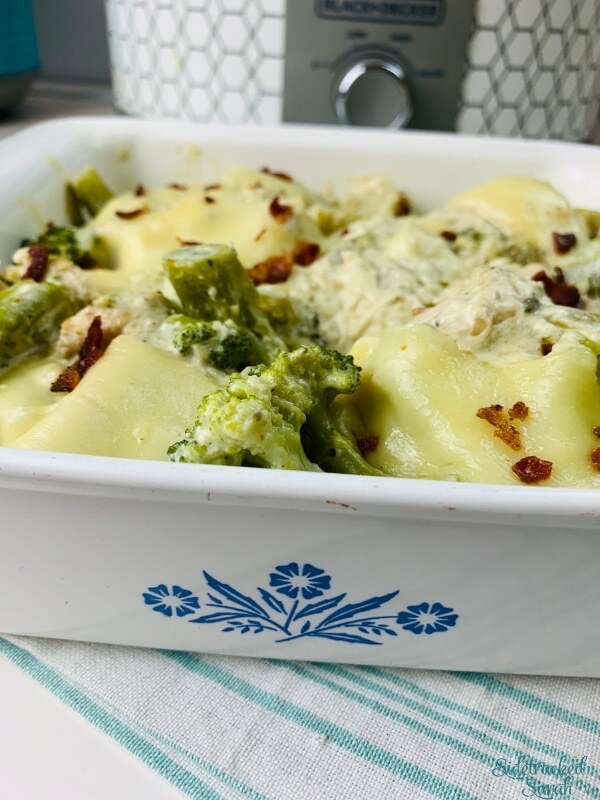 IS HEALTHY CHICKEN BROCCOLI BAKE CASSEROLE WITH BACON KID-FRIENDLY? It sure is at our house! My kids love the tender chunks of chicken and broccoli, the creamy sauce, and the savory bacon throughout. This casserole is definitely a crowd pleaser! 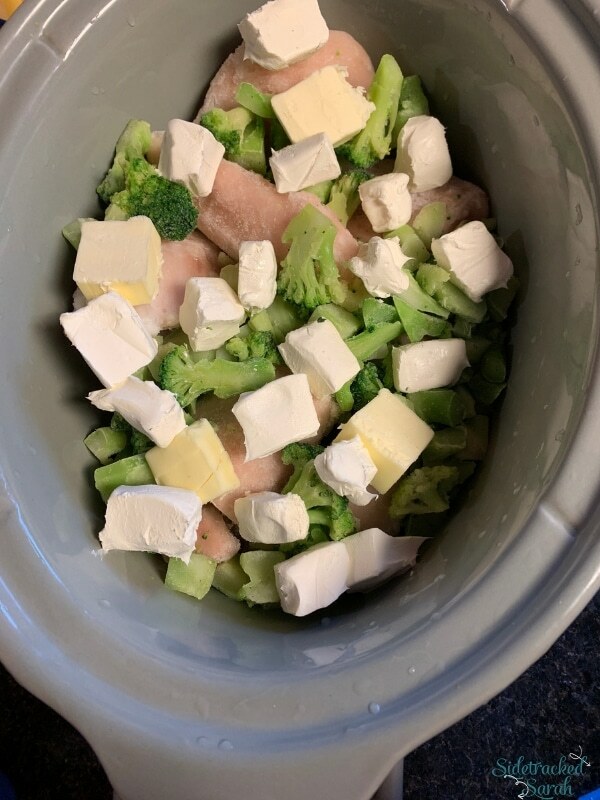 WHAT SHOULD I SERVE WITH HEALTHY CHICKEN BROCCOLI BAKE CASSEROLE WITH BACON? This dish already has plenty of protein and veggies, so all you really need is a quick side like my Southern Cornbread Muffins to round it out! If you would rather keep your meal low carb or Keto, the casserole is plenty filling all on its own! WILL HEALTHY CHICKEN BROCCOLI CASSEROLE WITH BACON FREEZE WELL? I would not recommend freezing this recipe, but it will keep well in the refrigerator. If your family is anything like ours though, there won’t be a whole lot left over in the first place! If you do have leftovers though, you will likely find that they’re even better the next day. Happy eating! WANT MORE EASY CHICKEN RECIPE IDEAS? 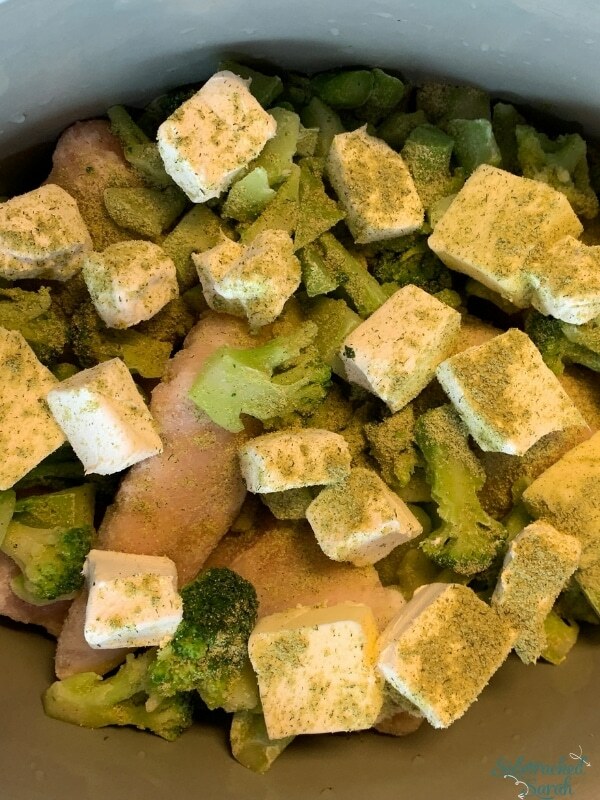 Place chicken and broccoli in slow cooker. Cube butter and cream cheese and place on top of chicken. Place cheese on top and sprinkle with bacon and onions. 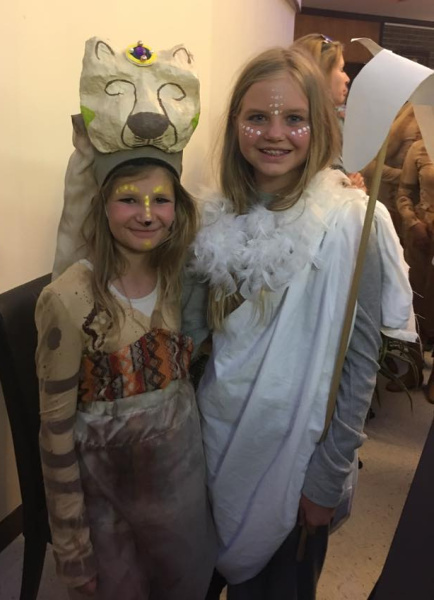 We just had some of our kids try out for the summer theater play that our community puts together every year. There is usually a musical for the younger kids and a play for the older ones. The two younger ones were cast in the chorus. The two older were called back for a second audition, but just missed the cut to make the play. Although disappointed, they both value the experience and will use it to motivate them for next year. Pictured below are previous years activities.